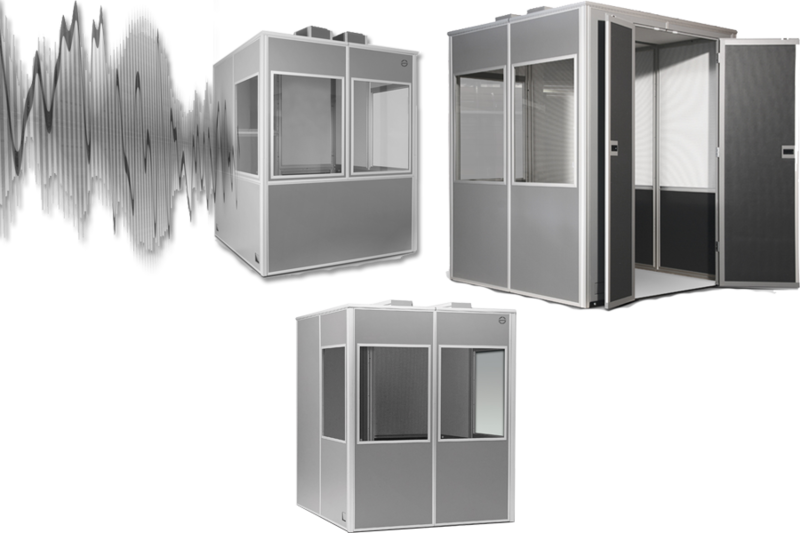 Audipack interpretation booths in line with ISO standards. The equipment required for simultaneous interpreting is installed by our experienced personnel. And our technical assistance professionals will take care of any technical issues during the event ensuring that the interpreting process goes without a hitch. Moreover, we provide simultaneous interpreting services in various language combinations. We cooperate with the best simultaneous interpreters in Latvia and, if necessary, also abroad. 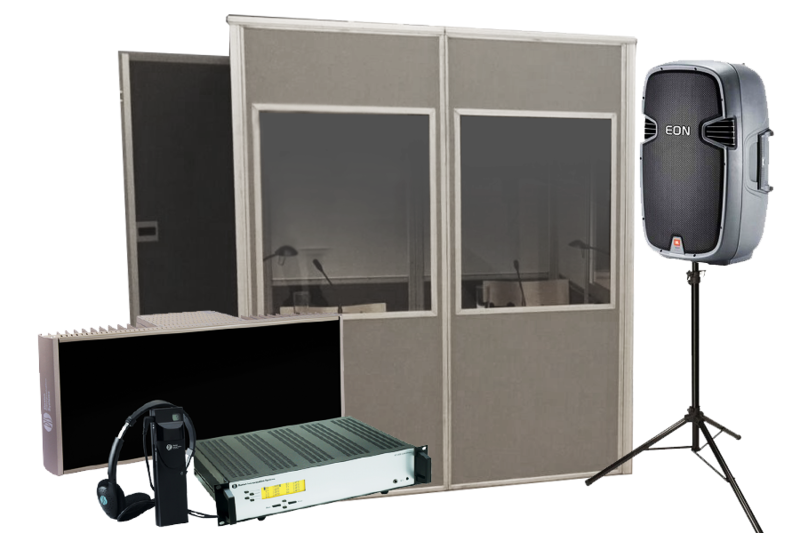 Baltic Conference Rental offers to rent Audipack Silent Series 9300 interpreter booths which comply with ISO 4043 version requirements and standards. 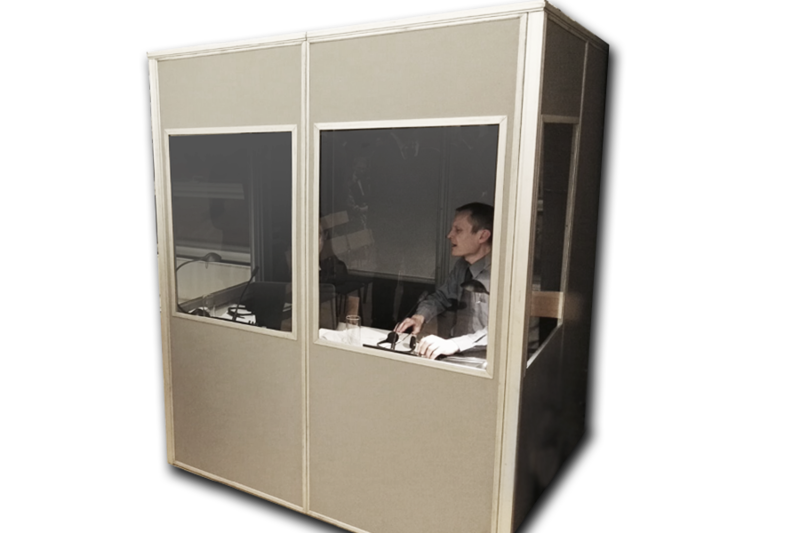 Audipack Silent Series interpreter booths made of premium quality materials are comfortable and robust. They are mobile, easy to expand and transform; besides, transportation and assembly are effortless. Each booth is equipped with an air conditioning system and has integrated lighting. The interior dimensions of a standard two-seater interpreter booth is 160X160x200 cm. The required space for the installation of one booth is 170x170x240 cm. There should be at least 2 m distance from the booth door to the wall or to the seat row so that interpreters and technical support specialists can freely go in and out of the booth. The booth should be placed so that during a conference or a seminar the interpreters can see the speakers, a screen (board) and a panel table. If necessary, we place the booths on special platforms to provide a better view. Normally, interpretation booths are installed in an inconspicuous place. In case of a challenging floor plan or small space, we think out of the box and find non-standard solutions to make speakers visible for interpreters. Mobile interpretation booths equipped with simultaneous interpretation systems enable quality interpreting at the venue of your choice. Baltic Conference Rental offers to rent premium quality DIS (Danish Interpretation Systems, a division of Shure) simultaneous interpretation equipment. 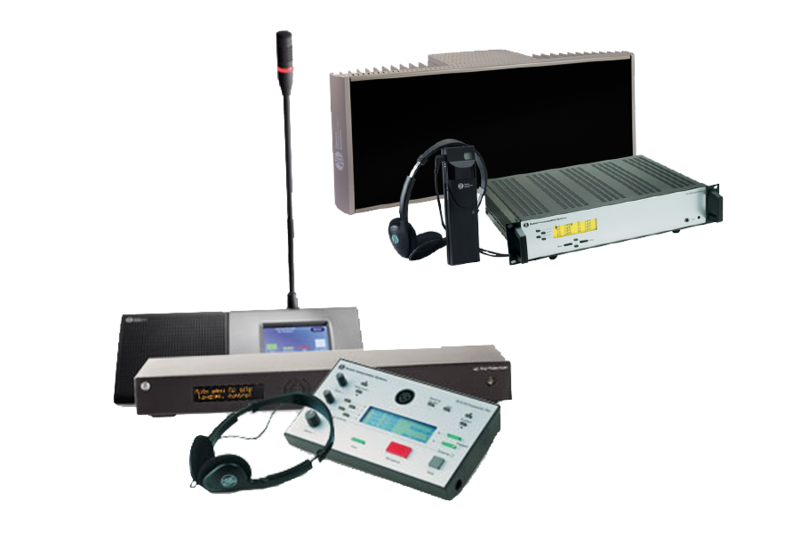 This simultaneous interpretation system consists of a digital broadcasting system, digital receivers, a control unit and interpreter consoles. The DIS digital broadcasting system functions in infrared wavelength range, therefore providing the highest quality of audio signal and safety (infrared waves disperse only within the limits of a room), which can be crucial in some cases. The system can broadcast in up to 32 channels / languages. Our technical support specialists will take care of any technical issues during the event ensuring that the interpreting process goes without a hitch. During simultaneous interpreting, the interpreter listens to the speaker through headphones and relays a speech in a different language using the interpreter’s console equipped with a microphone. Participants of the event listen to the translation through headphones using digital wireless receivers. To provide simultaneous interpretation services of high quality, we cooperate with the best simultaneous interpreters in Latvia and, if necessary, also abroad. Depending on the subject of your event we will provide the most experienced interpreters in the corresponding field. Simultaneous interpreters work in pairs in each language combination changing each other every 20 to 30 minutes. This means that each language pair requires two interpreters.